Let’s be honest for one second. When I think about my “outfit of the day, I tend to think about comfort. (Weekends don’t count.) I have way too much going on these days to worry about fussy clothing. AND the Florida heat can be brutal so wearing something breathable is super important. Extra points if it’s an outfit that exudes an effortlessly cool vibe. Which, as you all know, is my thang. But let’s be honest again. I’m not the casual type. I love dressing up. That’s why today’s look blends the best of both worlds. 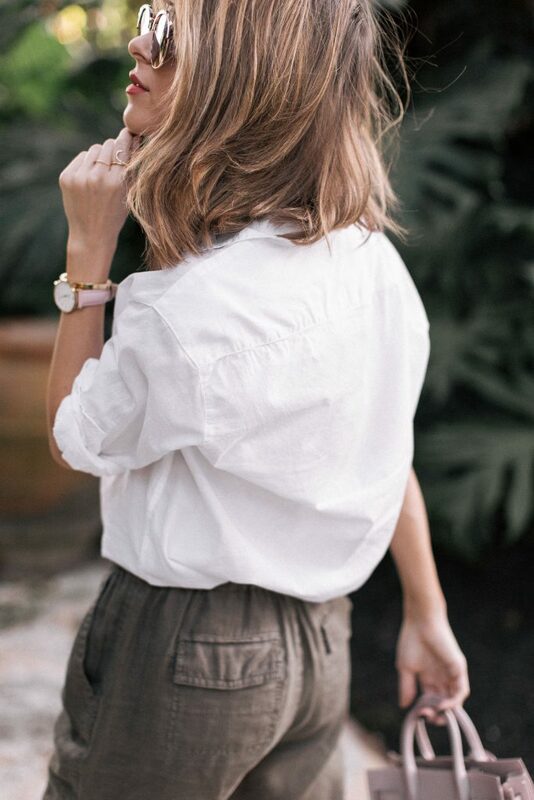 Half tucked in button down paired with cool, slouchy cargo pants from Joie a la Neiman Marcus. 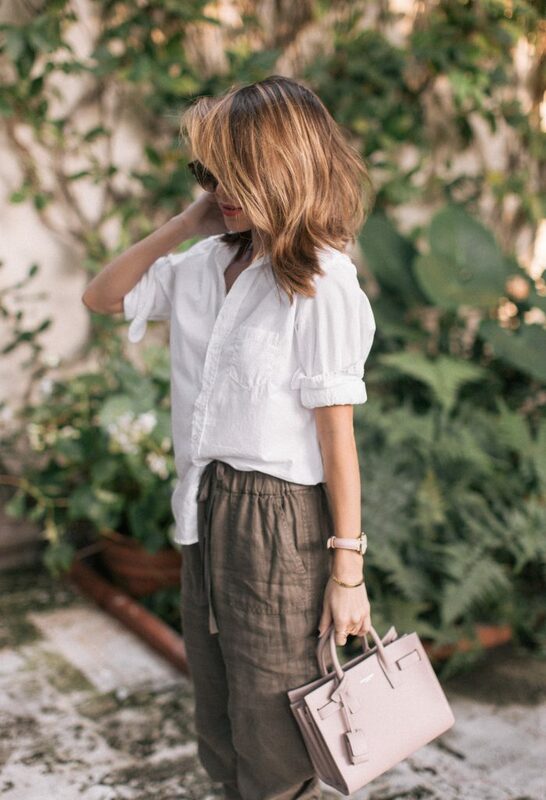 Extra points if you wear sandals with this look although white sneakers work too. A simple pair of earrings (these are vintage) to add the right amount of glam. And a little flair of pink with this tote to make the color pop. Scroll up + click the pink links to shop today’s look! You look so cool and comfy babe! 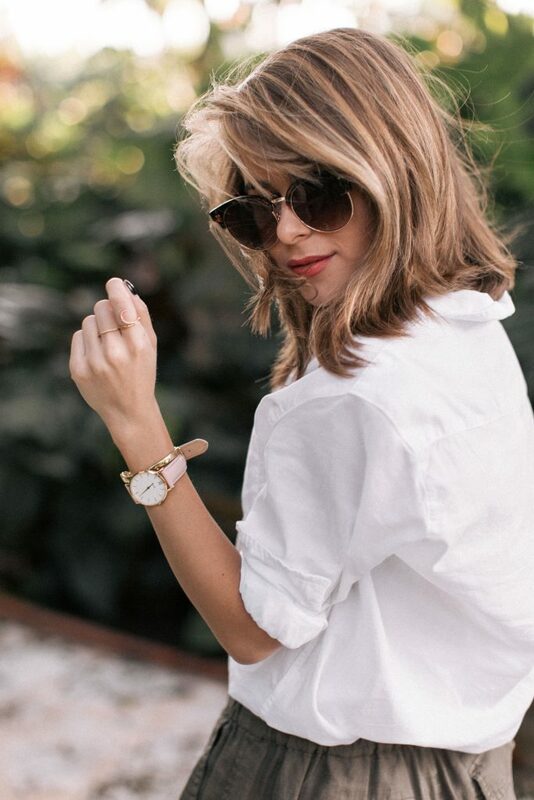 Adore this look!